If you love music and camping, a wireless Bluetooth speaker will be your next favorite tech gadget. I bought the first Bose Soundlink Mini II three years ago, and now I don’t go anywhere without it, and I especially love it when camping. Excellent battery life, portability, and fantastic sound have made it one of my favorite purchases in the past years. Since I bought mine, a lot of new speakers have entered the market, and today there are speakers for all budgets. Battery life has gotten even better, and a lot of them are weatherproof, even waterproof. If you don’t know what AUX or all the water resistance ratings mean, please scroll down to the Frequently Asked Questions where I will answer a question about this. But now, let’s take a look at my 6 favorite Bluetooth speakers on the market today and what they can do. 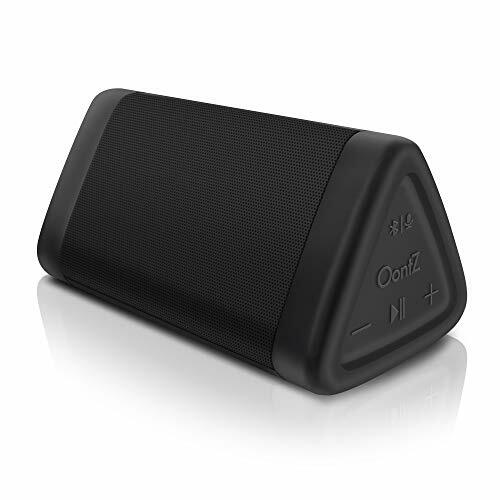 If you’re looking for a Bluetooth speaker to take to the beach with a battery that will last you all day long and in a neat little package, the OontZ Angle 3 from Cambridge Soundworks could be the perfect speaker for you. You will get IPX5 rated water resistance, up to 12 hours of battery life at ⅔ volume and a 3.5mm AUX jack so you can plug in your phone directly if you don’t want to use wireless Bluetooth. It has a built-in microphone so you can answer calls from your phone. So who is this speaker for? It’s for the campfire, beach, shower, and pool. It’s not the kind of speaker that you will buy for the best audio quality and accuracy, but for the price it’s impressive. Anker makes a lot of accessories for phones, like solar panels and portable batteries, so there is no surprise that they also make a wireless Bluetooth speaker. Where this speaker sticks out the most is with its battery life. 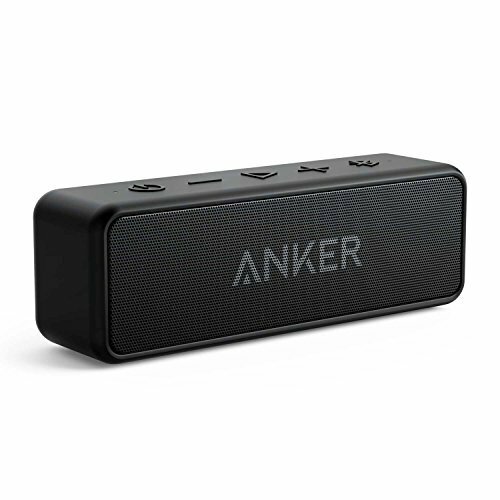 Anker advertises 24 hours of non-stop music! That is impressive, but it makes sense since it has a 5200mAh battery. This means that you could spend several days outdoors and don’t have to worry about charging it up. Grab it for the weekend trip and play music all day and night. IPX5 rating, AUX input, and lightweight for what it has to offer, it makes it a serious contender for the best Bluetooth speaker for most people. The Anker SoundCore 2 also has a built-in microphone so you can answer calls from your phone. The WONDERBOOM is a speaker that can be submerged in water and still work just fine with its IPX7 rating. That can be useful if you want to take your paddleboard out on the lake and not worry about water damage. With 10 hours of battery life, you can stay out all day and it can get really loud at 86 dBC. A neat feature is that you can connect two to make a bigger sound. Ultimate Ears WONDERBOOM has big buttons that make it easy to control, and a string on top so you can tie it to something, like a paddleboard or a floatie. Note that it can float in most waters. What I am missing are a microphone and an AUX input. JBL is another big brand and this JBL Flip 4 comes close to Bose in sound quality. A 3000mAh battery will let you play music for 12 hours which is twice as long as the Bose SoundLink Micro. It has the IPX7 rating which means that you can take it out on the lake and put it in the water without damaging it. It has an AUX input and a feature that will let you connect several speakers to the same phone to create a bigger sound. Last but not least it has a microphone with voice assistant integration that will let you talk to Siri or Google Now with the push of a button on the speaker. 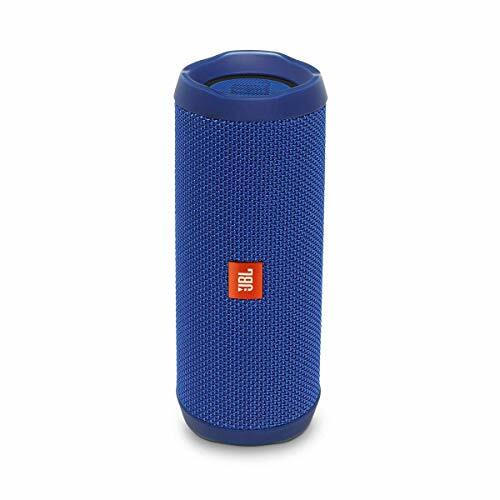 The JBL Flip 4 is, in my opinion, the best speaker to bring to the beach or in the water. 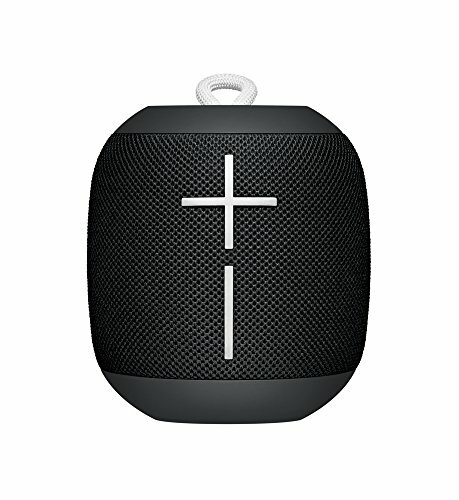 It has the battery life, the sound quality, AUX input, loud volume, and the waterproof rating to make it one of the best wireless Bluetooth speakers available on the market today. This is a speaker that I have bought for friends and family as a gift. The reason being that it’s a good mix of everything. It has up to 8 hours of battery life, an AUX input, a built-in microphone, and IPX4 rating. It’s good for older people because it will tell you what it’s connected to and the buttons on top are easy to see. The sound that comes out of this speaker is great so if a waterproof speaker isn’t a necessity for you, this speaker is a great option. You can use the built-in microphone to use voice assistants like Siri and Google Now. The reason I buy this as a gift instead of the JBL Flip 4 is that I think the sound quality is better on the Bose SoundLink Color. I like the more clear bass and the voice prompts. Now we’re getting into the bigger speakers that I recommend for RV life. 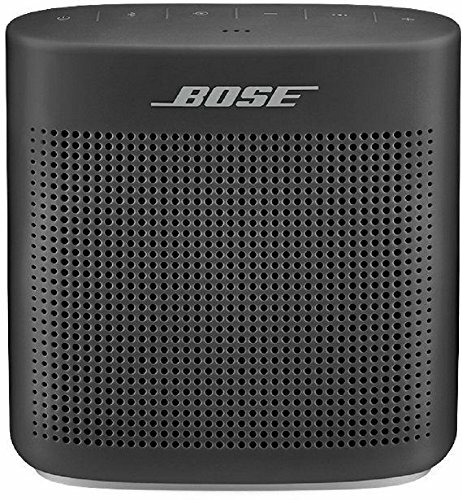 The first one is the Bose SoundLink Revolve with a 360-degree speaker. The battery will last up to 12 hours and will let you pair it together with another speaker like it to create stereo sound. While not as water resistant as their Bose SoundLink Micro, it has an IPX4 rating. To learn more about what these ratings mean in day to day use, check out the FAQ below. 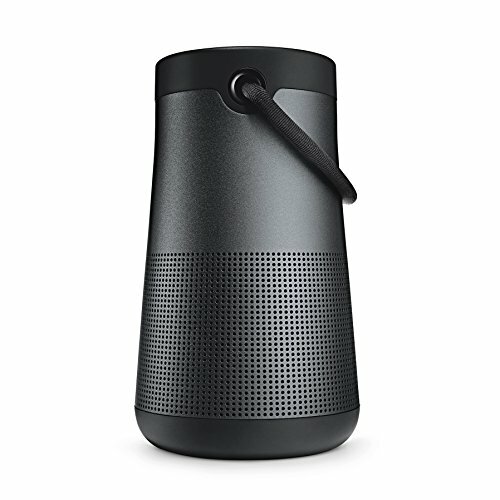 The Revolve has a microphone and will let you talk to Siri or Google Now through it. Above all, where the Bose SoundLink Revolve shines is with its audio quality. It has a deep, loud and immersive sound thanks to its 360-degree speakers. If you’re looking for a speaker to keep in your RV that will spread your music in the RV, this is the best option. Note that there’s also a bigger brother to this speaker below. It has an AUX input so you can plug your phone into it directly to play music. The last speaker I am looking at today is a big brother to the Bose Revolve above. This is the SoundLink Revolve+. What the plus does to it is what you might expect, it makes it bigger. 16 hours of battery life versus 12 on the smaller Revolve. 2 pounds instead of 1.46 pounds. It’s also slightly bigger. Other than that it can do the same things its little brother can. AUX input, voice assistant integration with the built-in microphone, IPX4 rating, and the ability to connect two to create a stereo sound. In my opinion, this is the best Bluetooth speaker on the market today. If you put this in your RV, you will never use the built-in speakers in your RV again. The portability will let you carry it around with you and put it in a bag when you go to the beach. This is the one to beat when it comes to sound quality. As you might have realized by now, there are speakers in all price classes. The thing I have noticed is that paying more doesn’t always mean more features, but usually better sound quality. You can pay less and get one that you can take with you on the lake and last all day long, or pay more for one that isn’t waterproof but has better sound quality. It’s all about what you need. Good: Anker SoundCore 2 – The Anker SoundCore 2 has incredible battery life, average sound quality, and will let you plug your phone into it. It’s an excellent product for the price that will satisfy most people. Better: JBL Flip 4 – The Flip 4 from JBL is an impressive device with 12 hours of battery life. IPX7 rating will let you submerge it entirely in water and it gets loud, so it works great outdoors. 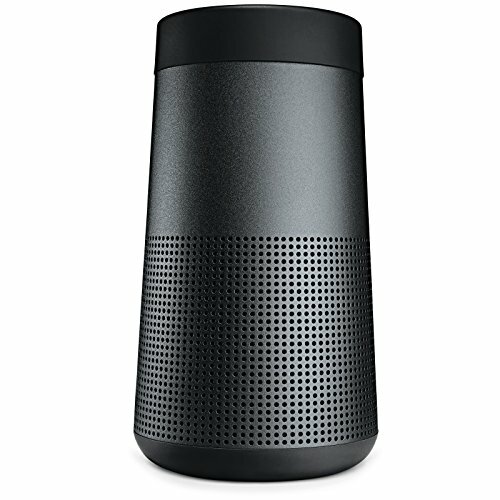 Best: Bose SoundLink Revolve 360 Speaker – 12 hours of battery life, Bose audio quality, 360-degree sound, and access to Siri and Google Now with the built-in microphone makes this portable speaker sit at the top of my list. If you want 4 hours more battery life and a slightly bigger sound you can go with its bigger brother: Bose SoundLink Revolve+ 360 Speaker. But the regular Revolve is a great speaker for the price and it will be all you need in an RV when it comes to listening to music or the radio. An excellent camping buddy. How much should I spend on a Bluetooth speaker? Like I mentioned earlier, paying more doesn’t always equal more features, but often better sound. Are you looking for a speaker to bring to the beach or one to enjoy your favorite music in and outside the RV? If you only plan on listening in the RV, I recommend saving up and getting a better sounding one than a smaller one even though it might have more features. How accurate is the advertised battery life on Bluetooth speakers? Companies are always advertising better battery life than what is accurate. It does depend though. Playing music at higher volumes will drain the battery faster and using Bluetooth, although very energy efficient it will drain more battery compared to using an AUX cable. If you’re camping and can’t charge the speaker every day you should focus more on how much battery life it has than the number of features. AUX stands for auxiliary and can be found on most phones, mp3 players, headphones, and in newer cars. You might have heard it been called an audio cable and it is the standard in today’s products for audio. Apple and Google have recently removed the AUX input in their phones which have caused some stir amongst audio fanatics. The IP in these ratings stands for Ingress Protection and is all about how protected the product is from water and dust getting into it. For example, IPX0 means that it has no protection from water at all. When it comes to IPX4, it offers protection from a splash of water in any direction for at least 5 minutes. IPX5 offers protection from a 6.3mm spray of water in any direction for at least 3 minutes. IPX7 offers protection from complete water submersion up to 1 meter deep for at least 30 minutes. So if you want to be in the water with your portable speaker, pick a speaker with IPX7 rating as that will survive being fully submerged. Let me know if you have any questions about Bluetooth speakers, or let me know if you’ve bought one that you like/dislike.